Hooray for Hollywood: In the March/April issue of the magazine, we told you about Lights. Camera. 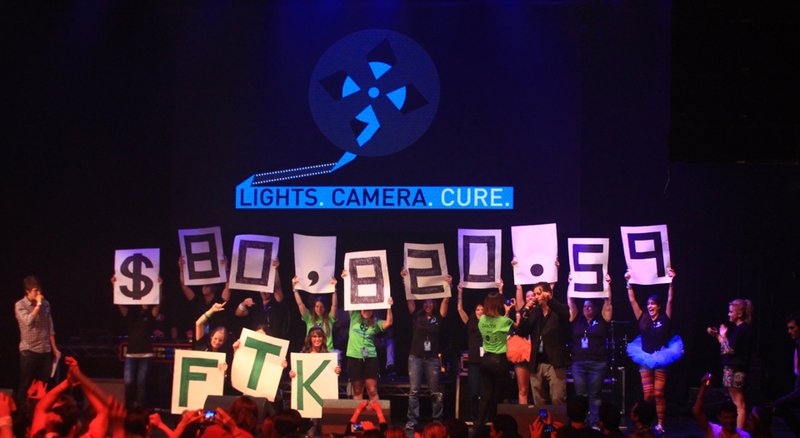 Cure., a THON-inspired dance marathon held in Hollywood and spearheaded by a group of Penn State alums. This year’s event was Sunday, and today’s Collegian reports that LCC raised a whopping $80,820.59 for the Four Diamonds Fund and the Children’s Hospital of Los Angeles. Check out LCC’s Facebook page to see the celebs who stopped by. Party starters: You might remember our feature on political science prof Pete Hatemi from last fall. Hatemi’s research explores the surprising links between genetics and political views. He’ll be discussing his findings at the Schlow Library in State College on Thursday, as part of the Research Unplugged series. Admission is free, as are the fantastic Irving’s bagels. State of SPD: More good news on the decline of dangerous drinking holiday State Patty’s Day — and proof that some campus and downtown initiatives are making a difference. A graph posted over at Onward State shows that both crime and alcohol-related hospital visits hit all-time lows this year—and the community service event, State Day of Service, is more popular than ever. Entry filed under: Uncategorized. Tags: Lights. Camera. Cure., Pete Hatemi, Research Unplugged, State Day of Service, State Patty's Day.